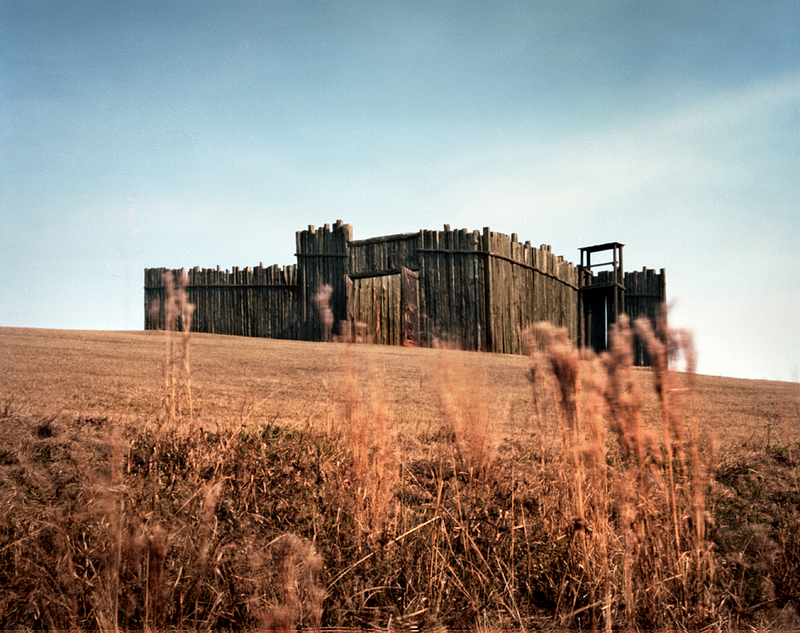 The reconstructed North Gate and stockade at Andersonville National Historic Site. 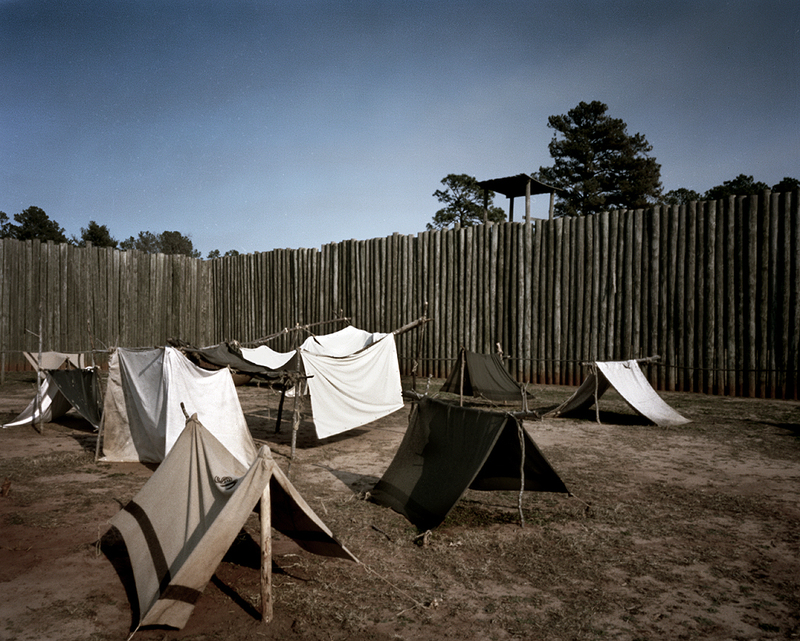 In 1864 the stockade would encompass twenty six acres and contain over thirty thousand Union prisoners-of-war. On my recent trip to Georgia following Sherman’s March to the Sea I had an opportunity to visit Andersonville National Historic Site. One hundred and forty miles south of Atlanta, Andersonville was the notorious Confederate prison built in February of 1864 to accommodate the increasing number of Union soldiers captured in various theaters of the Civil War. 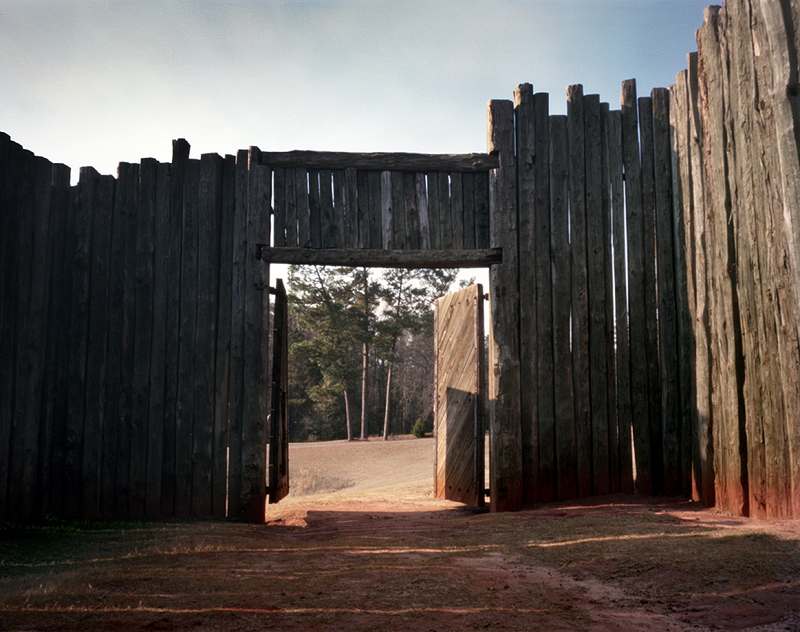 Forty-five thousand Union soldiers would walk through the stockade gates at Andersonville – over thirteen thousand would find their final resting place there. 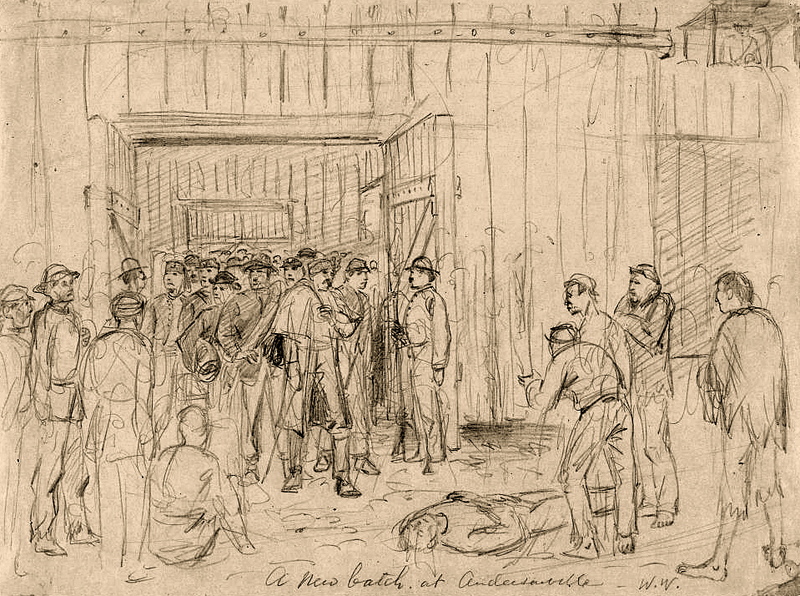 The horrendous mortality rate at the prison, mainly due to poor diet and sanitary conditions, would make Andersonville as deadly as any battlefield of the war. 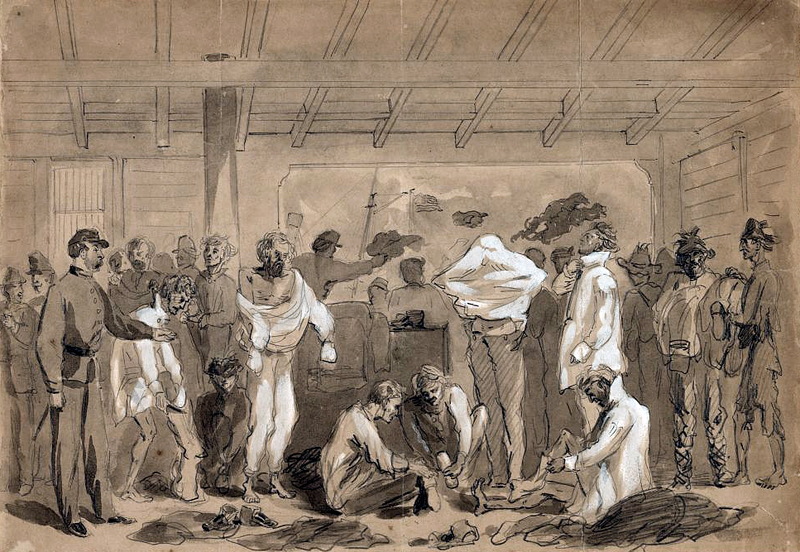 Testimony of what the Union prisoners had endured was heard in the halls of Congress – the hearings leading to the arrest and eventual hanging of the commandant of the prison, Capt. Henry Wirz. It’s important to note and a testament to the atrocity at Andersonville that Wirz was the only Confederate executed, besides Lincoln’s assassins, after the war ended in 1865. Up until 1863 the US and Confederate authorities had engaged in POW exchanges. This ended after the issuance of the Emancipation Proclamation and the recruitment of freedmen and former slaves into the Union Army. The Confederate authorities in response passed legislation refusing to treat black soldiers in uniform as prisoners-of-war threatening to execute or re-enslave them. President Lincoln responded on July 30th 1863 by issuing General Orders 252 suspending all POW exchanges. This policy of the Federal government would remain in effect until the end of the war causing the prison populations to grow both North and South. 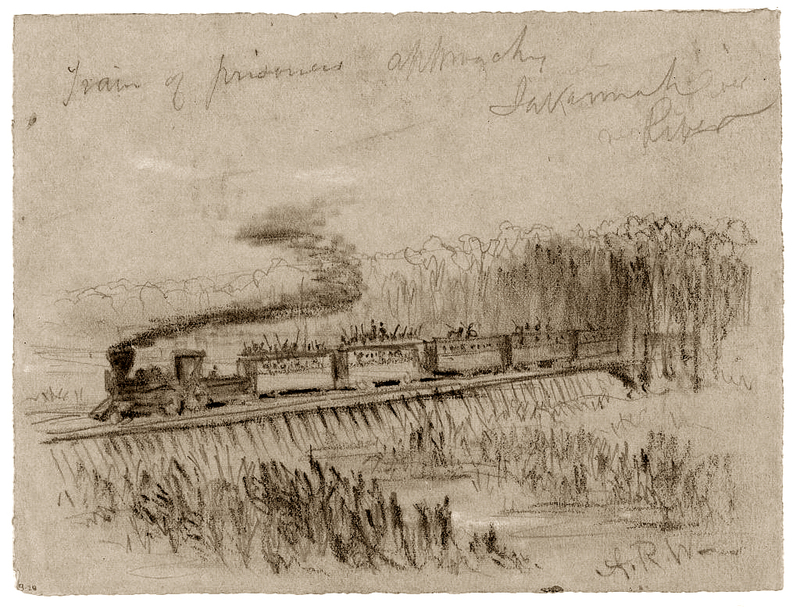 Andersonville Prison was built along a railroad line in Macon County, Georgia – a rectangle clearing cut in a primeval pine forest. 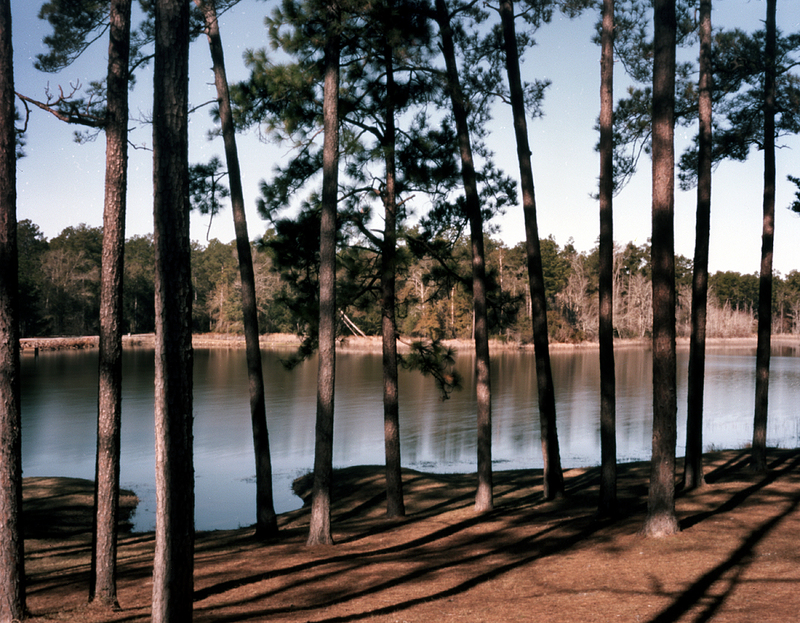 The camp was originally sixteen acres when it opened in February 1864 but was later expanded to roughly twenty six acres – the entire open space surrounded by a fifteen foot pine-log stockade. The prison had a main gate that opened to slopping ground bisected by a small creek that formed a swamp that divided the camp and served as the prisoners only water source. The creek was situated downstream from the guard camp and kitchens which fouled the water even before in entered the prison stockade. The site and smell of this swamp, after months of use by tens of thousands of soldiers as a latrine and wash tub, became unspeakably foul. 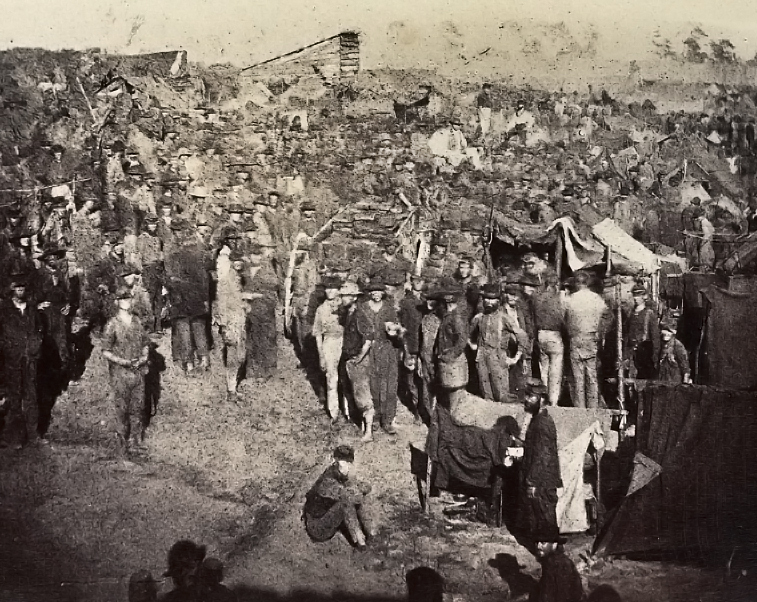 The Union soldiers arrived to find no shelters in the camp. Most of the POWs had been stripped of everything they owned so for many the clothes on their back were their only shelter. Prisoners would somehow scrounged a blanket and this, stretched between sticks, would provide shelter for the soldiers who eventually resorted to burrowing into the ground and living in mud-huts. 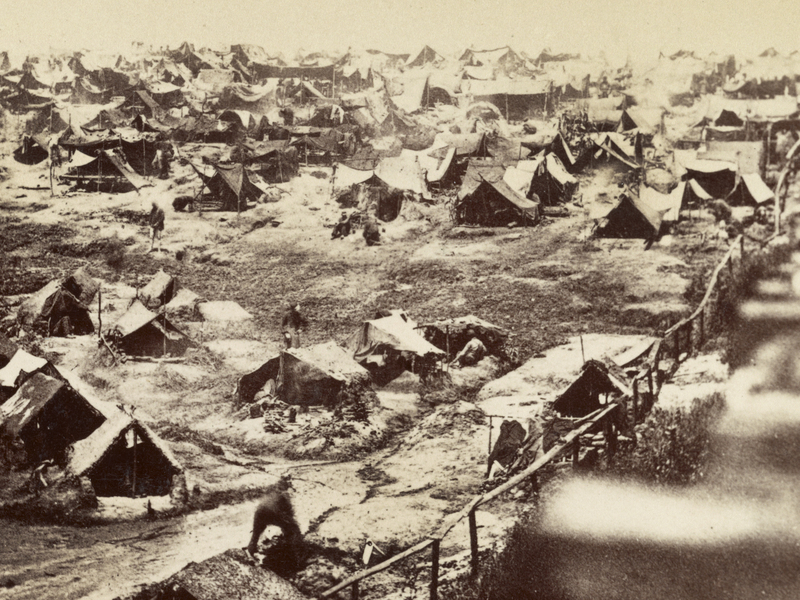 Andersonville quickly became overcrowded and eventually held four times its capacity. Within seven months of its inception one third of the prisoners had already died from exposure and diseases like scurvy and dysentery. At its height over 30,000 soldiers were living in the squalid camp forcing the POWs to excavate mass graves outside the prison to bury the hundreds of their comrades that died each day. Writing after his experiences as a POW McElroy like all the survivors of Civil War prisons has a legitimate axe to grind and although not vindictive had an immediate interest in getting the story of Andersonville out to the northern public. Written in serial form for the Toledo Blade, where he later became editor, in the memoir McElroy anticipates that he’ll be accused of exaggeration and his testament denied by southerners writing, “I know that hell hath no fury like the vindictiveness of those who are hurt by the truth being told of them”. To remedy this the author includes in the publication the written report of a Confederate Surgeons General sent to Andersonville that confirms the truthfulness of McElroy’s account. 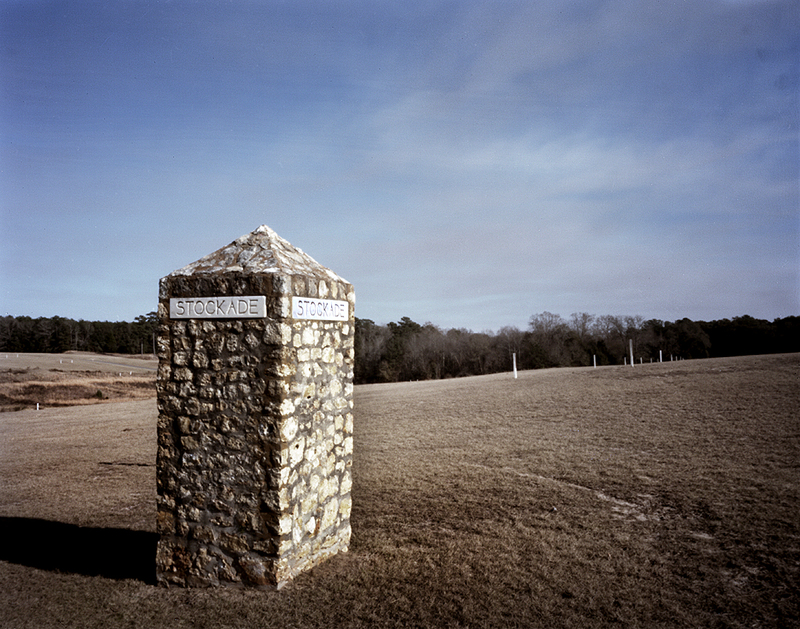 The guards at Andersonville McElroy speaks of were drawn from Georgia’s dwindling manpower, militia groups and Home Guard units, and consisted of mostly young boys and older men. Notoriously sadistic, the mostly inexperienced and uneducated sentinels kept an cold eye on the POWs proximity to the Dead Line. Drawn twenty feet from the stockade the Dead Line stretched around the entire interior of the prison and was apply named. Escape attempts at Andersonville were frequent. Although fifteen feet high the stockade fence was also sunk five feet below ground turning the soldiers quickly into expert tunnelers. Many escapes were attempted in this way but of the hundreds of prisoners that escaped from Andersonville there is only one instance of a soldier reaching the Union lines. 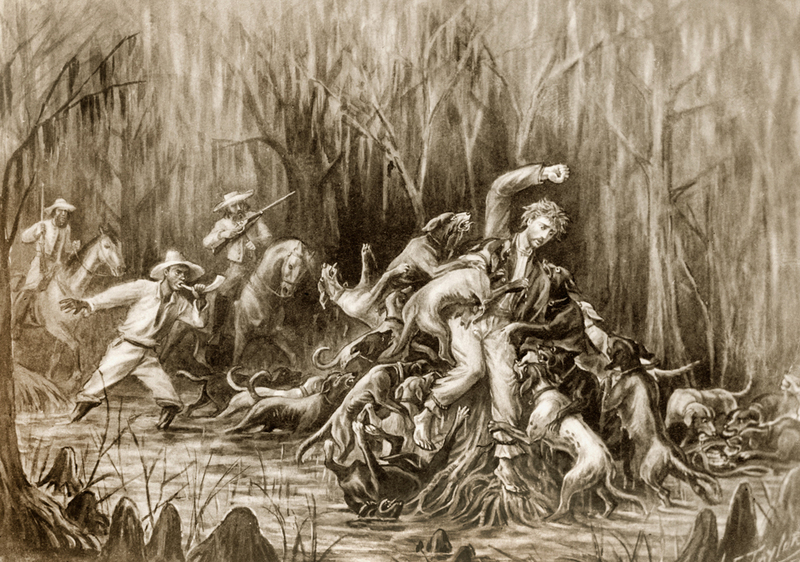 All the others were recaptured – hunted down by packs of bloodhounds and their overseers. The Confederate authorities left the prisoners to fend for themselves and as in all prison societies the criminal element took over with the loose formation of gangs and what we’re called, The Andersonville Raiders. 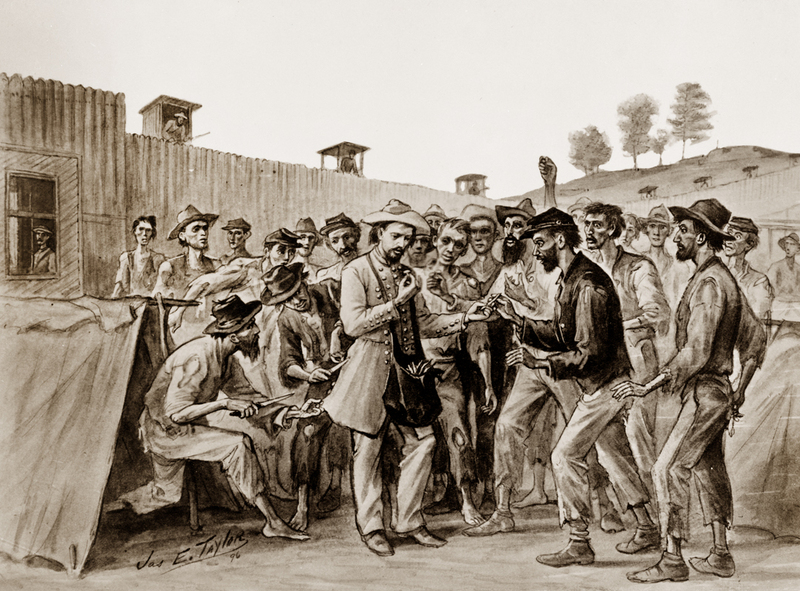 Made up of bounty-jumpers and thugs from places like the Lower East Side, McElroy called them “the NY’aarkers”, this criminal element at Andersonville made life for the other thousands of Union captives unbearable. At its height the Raiders had an army of five hundred that would terrorize the camp going on “expeditions” to rob and murder their fellow soldiers. The continued abuses of these roving gangs finally reached its’ tipping point after a particularly brazen robbery and assault by one of these gangs on a sick prisoner. The Union soldiers gathered the biggest and strongest men in their companies and went on a hunting expedition themselves. With the approval of the commandant Capt.Wirz, they rounded up the gang leaders, built a gallows in the camp and hung six of the worst perpetrators. 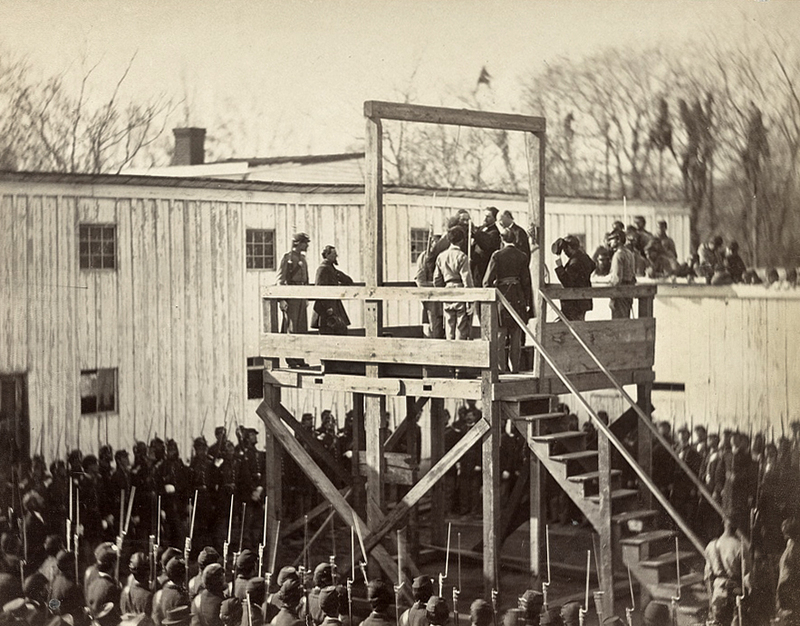 The raids stopped after these executions with the POWs forming their own police force within Andersonville Prison. 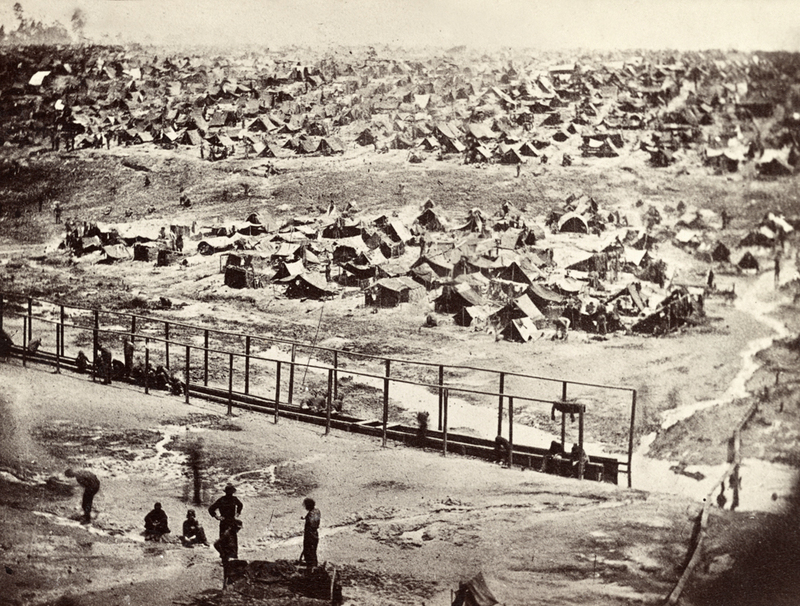 As William Tecumseh Sherman’s armies approached Atlanta in the summer of 1864 Confederate authorities fearing a Union cavalry raid decided to move the prisoners from Andersonville to a new prison, Camp Lawton near Millen, Georgia. Nothing remains of this POW camp today. The site is now Magnolia Springs State Park. In the fall of 1864 as Sherman’s troops marched toward the sea the thousands of Union POWs at Camp Lawton were moved again this time to a holding pen in Savannah – here they were told they’d be exchanged. Jubilant but leery the POWs were soon disappointed being loaded on trains again and taken to another make-shift prison – Stockade Florence in South Carolina. As the Civil War was drawing to a close the pressure from the campaigning Union armies forced the Confederates to continually move their prisoners-of-war. 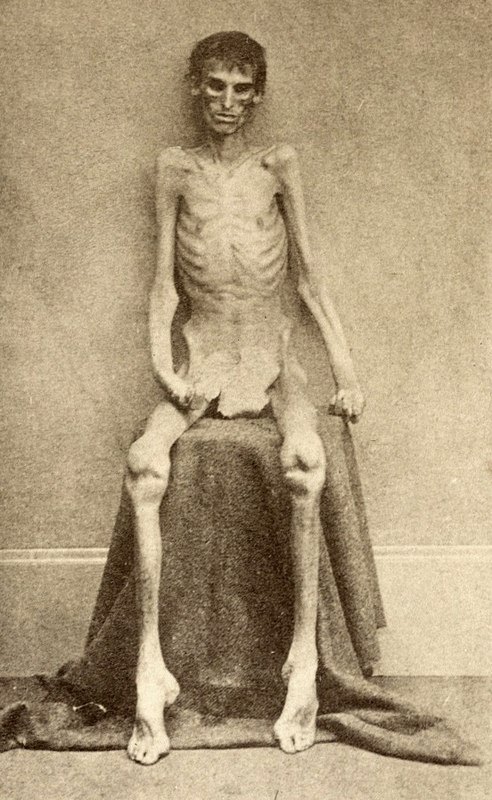 Emaciated POWs from Andersonville were taken south by train into Florida where they were forced to cut a clearing in the swamps as their new home. Some of these same Union soldiers after being moved around Georgia, South Carolina, Alabama and Florida, actually ended up back at Andersonville Prison. Nearly a half million soldiers North and South were detained in military prisons during the Civil War. Hundreds of thousands would not be liberated until hostilities ended in the spring of 1865. The survivors both Union and Confederate would return home, many writing of their experiences. Today the Park Service has reconstructed a small portion of the stockade fence, the north gate, and a section of the northeast corner of the site, so visitors can get a sense of the prison yard at Andersonville. Atop the reconstructed stockade are examples of the guard towers that were placed at eighty foot intervals around the prison. The rest of the site is open to the air and marked by white stakes in the ground that follow the stockade and dead line around the camp. The landscape here in Macon County hasn’t changed much in 150 years. Andersonville is still out-of-the-way, surrounded by vast pine forests and aside from the fact that the site has been cleared of all the soldier shelters the grounds of the prison are eerily unchanged. The small creek that runs through the camp that had become so foul in 1864 still winds its way through the landscape creating the small swamp in the center of the site. The “miracle spring” that opened up inside the stockade in late 1864 and saved the lives of many a prisoner is still flowing is now housed in a mausoleum. At Andersonville you can also see the huge National Cemetery dedicated to the soldiers who perished here. The Union had its own notorious prisons as well. I had an opportunity to visit the site of Camp Douglas a number of years ago. Located on the southside of Chicago, the former Confederate prisoner-of-war camp is now the site of Griffin Funeral Home. 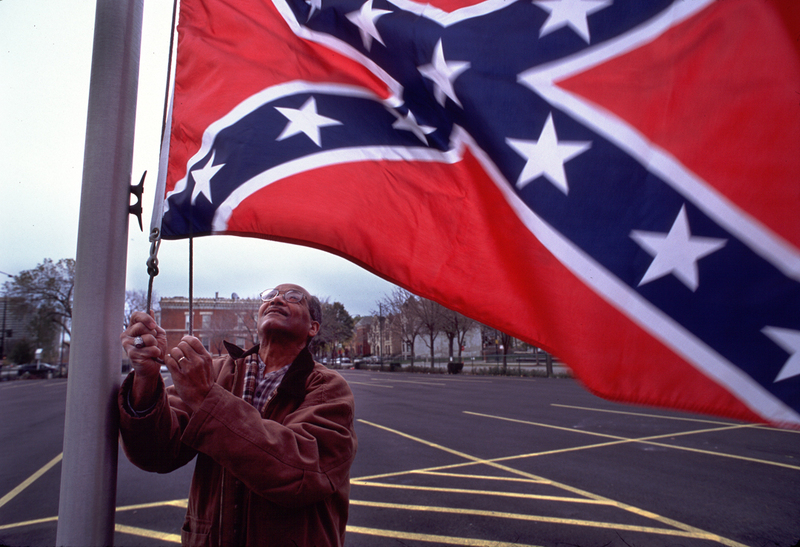 The caretaker at Griffin, Harold Newchurch, raises a Confederate flag on the site everyday in memory of the 6,000 southerners who died there during the Civil War. Despite the fact that the Federal and Confederate governments had both written laws to protect their POWs during the war 56,000 soldiers would wind up perishing in military prisons. The war crimes perpetrated on Civil War soldiers at Andersonville and the other POW camps of the war are still a source of controversy among historians today. 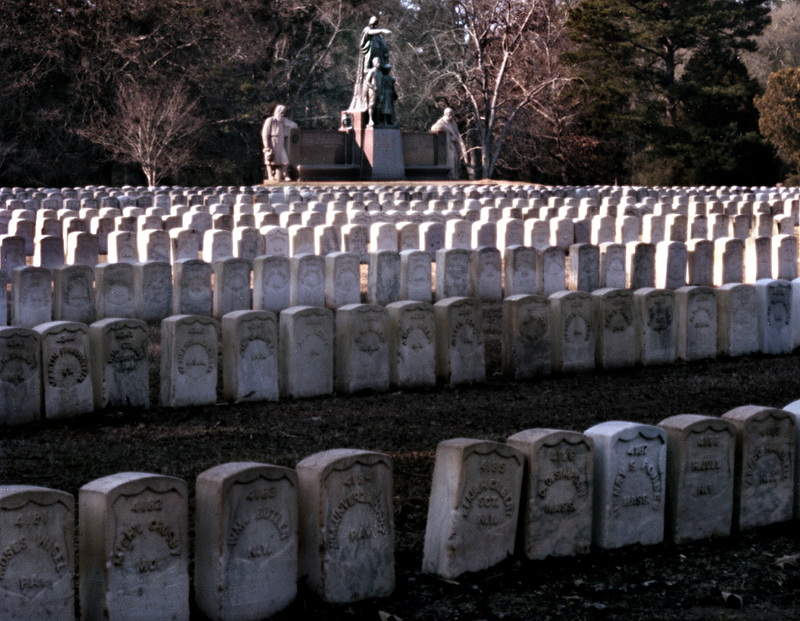 The site at Andersonville in Macon County, Georgia was eventually chosen as the location of the National Prisoner of War Museum and is the only park in the country to serve as a memorial to all American prisoners-of-war. 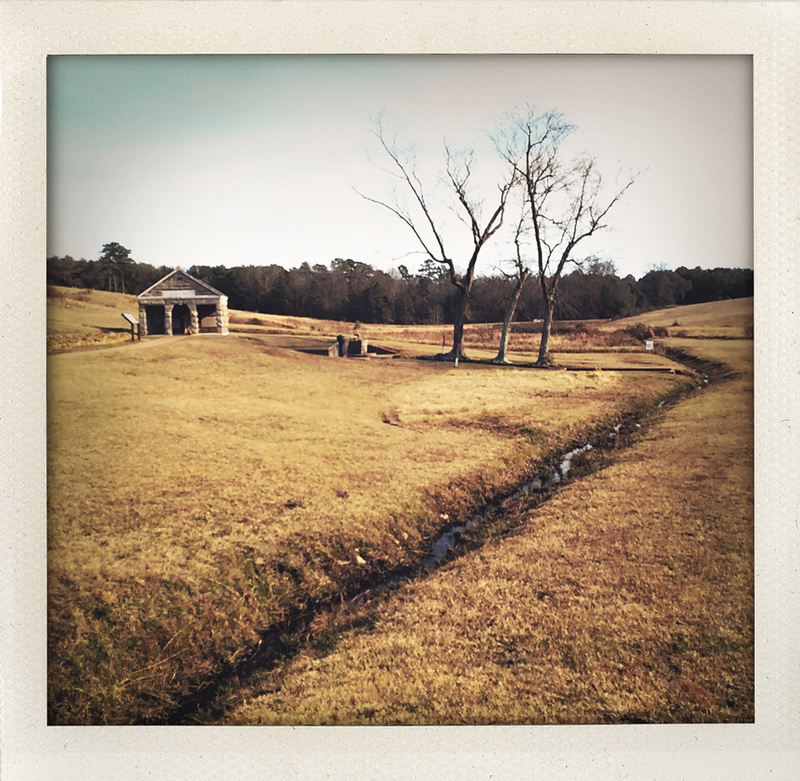 Today the landscape at Andersonville appears before you…completely silent. This is not a landscape in the 19th century sense, “bathed in glory”, where soldiers faced each other on more-or-less equal terms. This is not a battlefield. It’s a place where tens of thousands of young men perished through neglect, disease and starvation. The sensation one takes away is one of wasted lives and of the horrors of war. Michael- thank you so much for this beautiful testimonial to the soldiers who died at Andersonville, and all the prisoner of war camps. My relative Samuel Pryor Timmons was one of those who died of disease at Andersonville, and it is difficult to imagine just how horrible and experience that was for him and tens of thousands of other soldiers. Your moving post helped make what he experienced more real for me. Thank you.